Now you have downloaded the HD video. How do you play it on your HDTV? 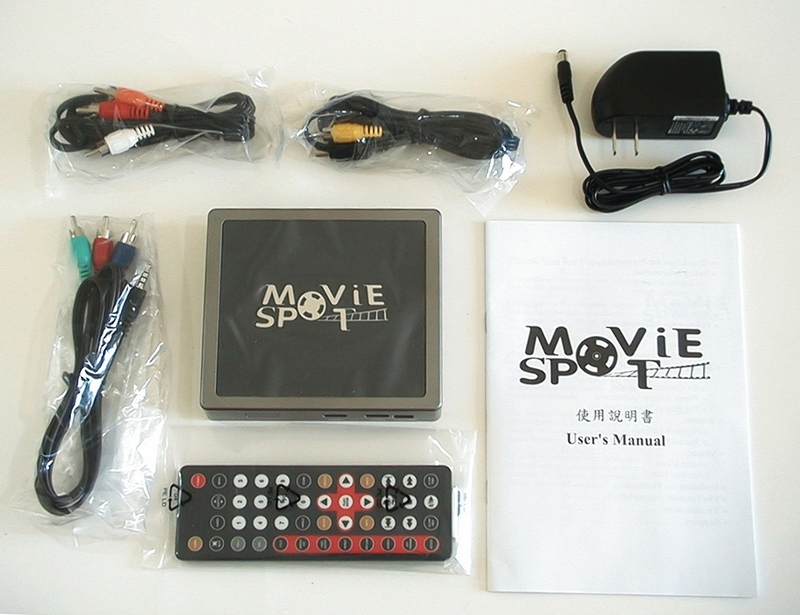 This brand new Movie Spot device be TEC is your solution. Simply copy your HD video files onto your portable HDD or flash drive (must be USB2.0). 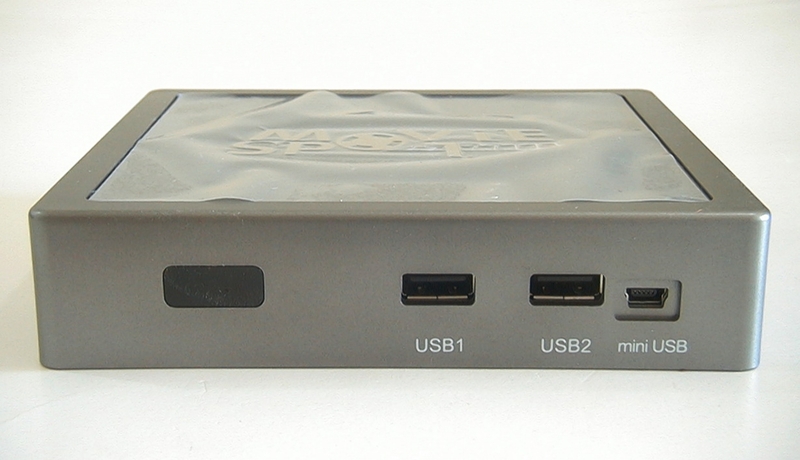 Plug the drive into this device and you are ready to enjoy a high resolution video on your HDTV. 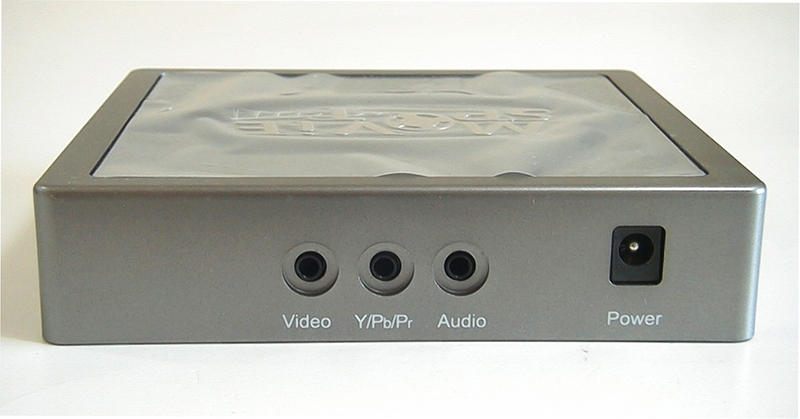 This device supports the HD format at 480P, 720P and 1080i. As an added bonus, this device also plays your 5.1 audio directly from your *.AC3, *.AAC, *.MP3 (and more...) files and output the digital signal through a coaxial cable to your audio system. 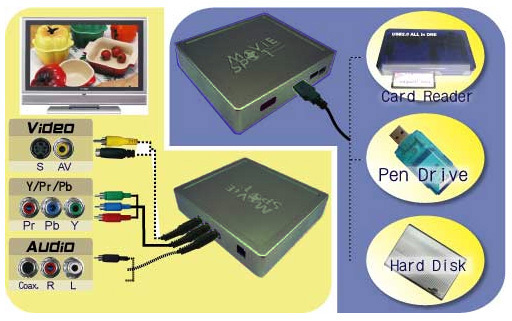 This device can also read picture files (*.jpg & *.bmp) and play them on your HDTV. 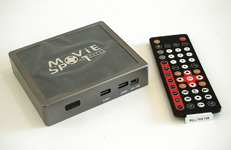 So you can watch the collection of your vacation photos, party photos, etc directly on your HDTV with your friends and family. * Please note that the drive must have USB 2.0 interface to offer sufficient file transfer rate.